Mon, Feb 11, 2019, 08:32 pm SL Time, ColomboPage News Desk, Sri Lanka. 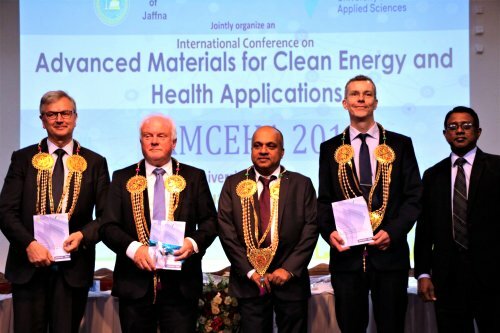 Feb 11, Colombo: Ambassador of Norway to Sri Lanka and Maldives, Thorbjørn Gaustadsæther recently visited Jaffna to attend the International Conference on Advanced Materials for Clean Energy and Health Applications (AMCEHA), jointly organized by Western Norway University of Applied Sciences and University of Jaffna. Opening the conference as the Chief Guest, Ambassador Gaustadsæther highlighted the importance of creating fora to provide opportunities for exchange of research ideas and form local and global partnerships. About 500 local and foreign participants attended the conference. During this visit to the North, the Ambassador also met with several government officials in the area such as Governor of Northern Province Dr. Suren Raghavan, Major General Darshana Hettiarachchi, Commander of the Security Force Headquarters - Jaffna (SFHQ-J), and A. Pathinathan, Chief Secretary, Northern Province. 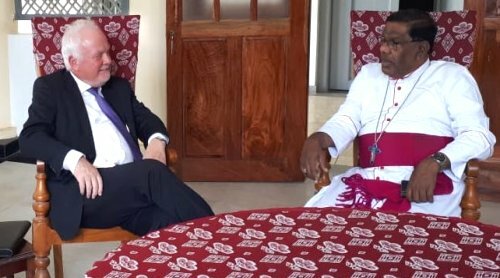 The Norwegian Ambassador also called on Bishop of Jaffna Rev. Monsignor Justin Bernard Gnanapragasam. 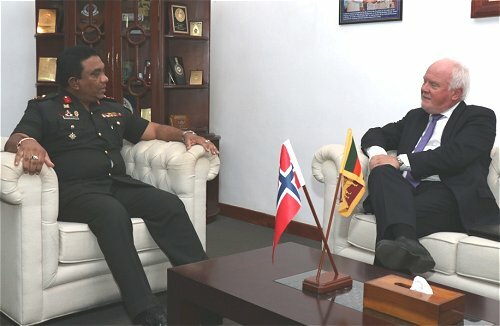 These meetings helped the Ambassador to better understand the opportunities and challenges in the Northern Province, Norwegian Embassy in Colombo said in a statement.